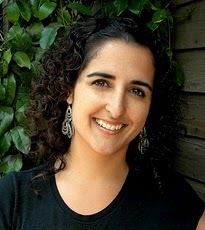 The pens are happy to welcome Kristin Miller to the blog today. 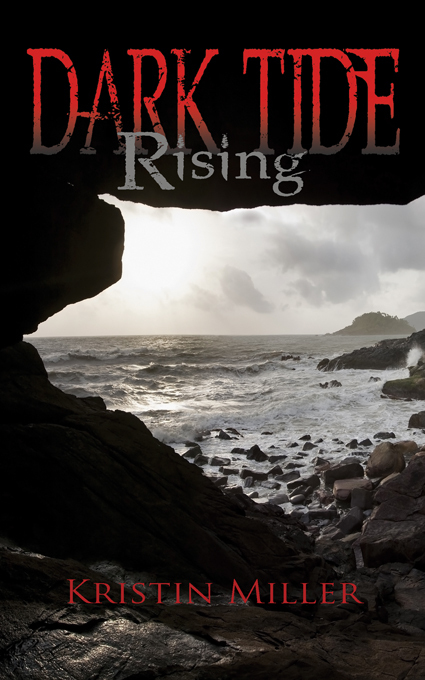 Kristin's debut romantic suspense novel, Dark Tide Rising, is available now. Thank you to the Pens for inviting me to post today! I’m proud to call you ladies writing peers and fast-growing friends. I was an “old” child. The one who never wanted to climb trees, choosing instead to sit in cool grass and pick petals off dandelions. The one who secretly read John Saul’s Darkness instead of Judy Blume. The one who crushed on Marty McFly instead of Prince Charming. I had a few solid friends I could count on one hand. We giggled playing Barbies, argued during four square, and whipped tetherballs like champions. People were right to dismiss my practical dreams at such a naïve, fruitful age. It does take a certain type of person to want to teach middle school. A person who’s wanted to teach seventh grade English since before they were in seventh grade. A person who dreams of rows of Old Englished desks, the curt, woodsy smell of sharpened pencils and well-structured lessons spiraling around analysis, reflection and research. An old child like me who always admired the teachers with pencils in their hair and glasses hanging off the tips of their noses. Looking back, I’m not sure what made me decide to teach seventh grade, specifically. Seven must’ve been my lucky number. The number of my favorite Madonna track on her True Blue album, perhaps. Or the number of times I ogled over Jack “T. for Trustworthy” Colton in Romancing the Stone in a given week. Through the years, I never veered from my goal. I went to a party college, yet seldom partied. I kept my sights on those desks and lessons and those oh-so-trendy black-rimmed glasses. And then I did it. I reached my goal. It was great, yet nothing like I envisioned it would be. My students, pre-adolescent and wild-eyed, didn’t care about fluency or grammar or the very important difference between who and whom. They didn’t care about standards or long-term goals. They were nothing like I was at their age. They were kids. How kids should be. So full of wonderful, lofty ideas about the life ahead of them. Too young to care about finals or SAT’s or Presidential hopefuls in the coming election. It took a few years of teaching to realize how much reality veered from my childhood notions of adulthood. I never needed nose-pinching glasses, even after the long nights spent skimming over expository essays. Pencils never stayed in my hair, no matter how I tried to shove them in place. Lessons revolving around standards changed more than fluorescent clothes trends. Living my childhood to be a mature, wise adult didn’t quite turn out the way I’d hoped it would. In some ways, it turned out better. Quitting teaching to stay home and raise my own children has given me a richer lens with which to view life. Being an old child kept my spirit focused and driven. I reached my goals quickly. But now, having lived thirty years with my nose to the grindstone, I can look up and enjoy the brightness of life—right alongside my own children. I spin circles in snowfall with them, arms extended, tongue lolling down to catch fat, wet flakes. I push them up trees, swing from low-hanging limbs, kicking my feet up as they climb to the highest, thinnest branch. I’ve officially transitioned from old child to young adult; the kind that giggles louder and plays longer into the day. The kind of young adult who drives a fast car and lets my hair do whatever the hell it wants to do, no matter who’s judging. The kind that strolls in the pouring rain without an umbrella because, after all, it’s just water. I’ve learned that, often times, change is inevitable. You can’t plan everything. Hell, you can’t even dream everything. While some long-standing dreams wither and die, other magnificently unthinkable ones bloom in their place. I never dreamt of being a writer—my realist brain couldn’t comprehend something so far-fetched. Yet here I am; fueling a passion I didn’t know existed. Beyond my own happiness though, I’ve come to realize that inflaming passion in others—whether it’s by way of teaching, writing, or parenting—is truly what makes a soul vibrant and young. 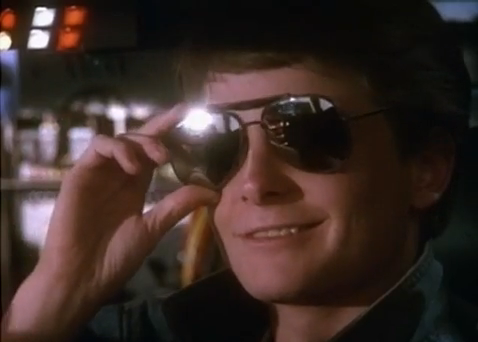 Through all life’s curveballs, I’ve also realized there are some things in this world that remain constant…Marty McFly is still the hottest thing to hit Hollywood since one-point-twenty-one-gigawatts blasted his DeLorean back to 1955.
hey kristin i can so relate to what you say about being an "old" child. Many of my dearest friends would probably fall into that category. Early curiosity and introspection - maybe it comes from having lived interesting lives in the past? Oh and also, I LOVE that author photo - it really captures you! Hi Kristin -- so good to see you here! (You and marty McFly!) I love the idea of remaining childlike, not childish ;-) Congrats on the new book-- I can't wait to read it! Lovely, lovely post. I was the kid who said I didn't feel good so I could stay inside and read but I had no idea who/what I wanted to be when I grew up. Congratulations on all your recent success! Thrilled for you!!!! Thank you ladies so much! I'm thrilled you invited me to post today. And YES! YES! To Solid Gold Dancing and Jack Colton! The best! omg John Saul - the memories! I used to devour up his stuff, too, when I was young. I thought I was the only "demented" child! Darkness is still one of my all-time favs. So creepy. So perfect. I think I was twelve when I read it. Great post, Kristin! =) I was kind of half and half, somewhat of an old child but somewhat not. Though at one time, I told my mom I wanted to be a linguist and speak 10 different languages. That didn't happen. I only speak 2 fluently haha. Kaitlyn--Being a linguist is probably not something a mom hears very often, but what a great goal! And you've still got plenty of time to learn eight languages, right?